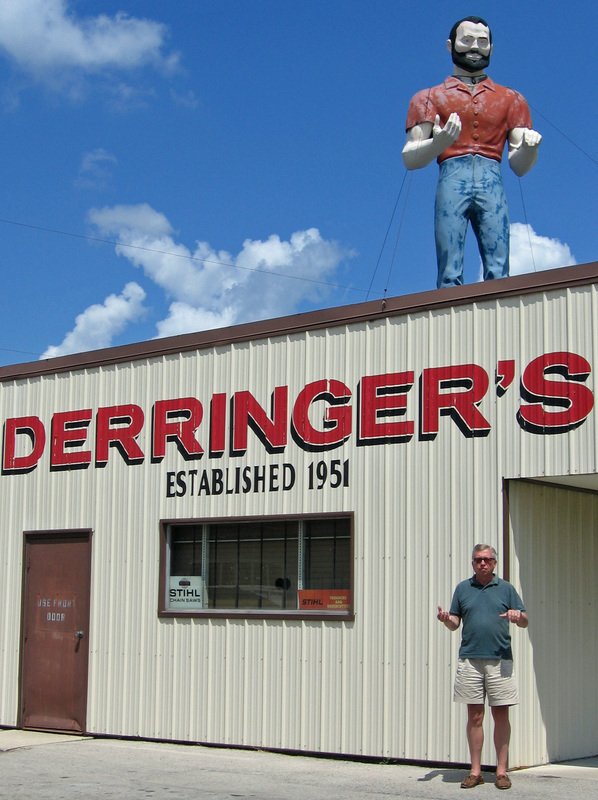 Derringer’s Lumberjack – The Home of My "Big Things"
There are any number of this type of “Lumberjack Muffler Men” around the country. click on the Category and you can see those that I’ve found. We spotted this guy in Lima, Ohio at 1501 Findlay Rd. He stands on top of Derringer’s Small Engine Repair. They must do pretty good work since they’ve been around since 1951.